ength is amplified by an extra factor of 100%, 200%, or 300%, depending on what level you switch to. This puts any hill within easy reach, and lets you concentrate on enjoying the beauty around you without worrying about whether you’re going to make it to the end. 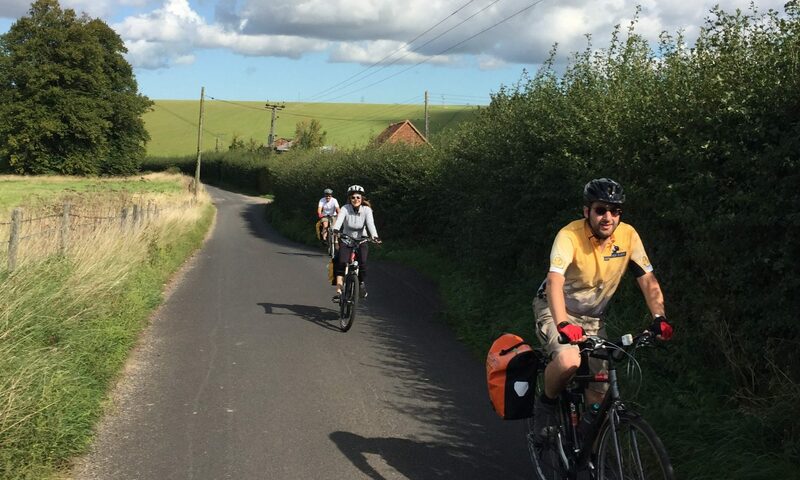 The bikes are completely quiet, can be ridden without electric assist at all, and still give the feeling of gliding along the country lanes and experiencing the environment that a bike uniquely enables. It is very important to realize, though, that you still must be comfortable handling the bike, even on bumpy roads. You also must be comfortable riding downhill, as the ride is hilly. An Electric bike costs an additional $175 for the week.